Colouring—it’s not just for kids anymore! Crayola offers a number of cool colouring collections for the sophisticated colour artist. There are bound books and an entire line of premium coloured pencils and fine line markers. Crayola has all you need for a relaxing art experience that will leave you calm, cool and colourful! These pencils are the perfect tools for the young at heart. Discover the soothing nature of colouring as you bring out the beauty of finely detailed line art. Colours come in a rich and relaxing palette to keep you calm cool and colourful. 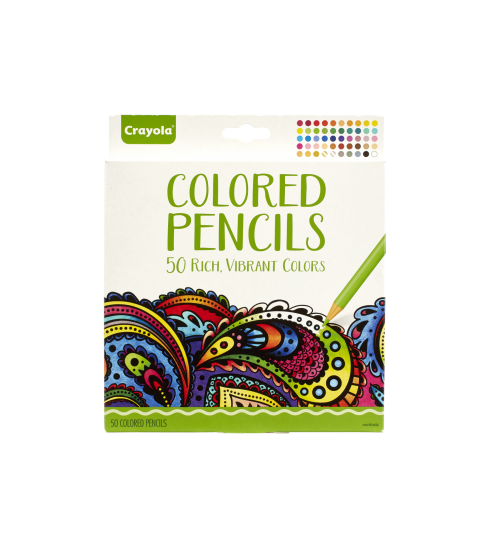 Crayola Dual Ended Coloured Pencils are the perfect tools for adult colouring! Crayola adult colouring range offers a variety of colours and superior laydown to make sure all your colouring is dynamic and sophisticated.